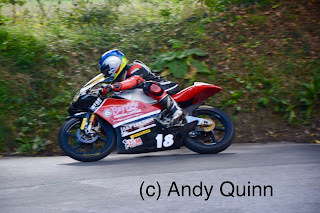 The day ended with all Championship positions resolved as Derek Sheils romped home in the Grand Final from Michael Sweeney in 2nd and Paul Jordan a terrific 3rd. 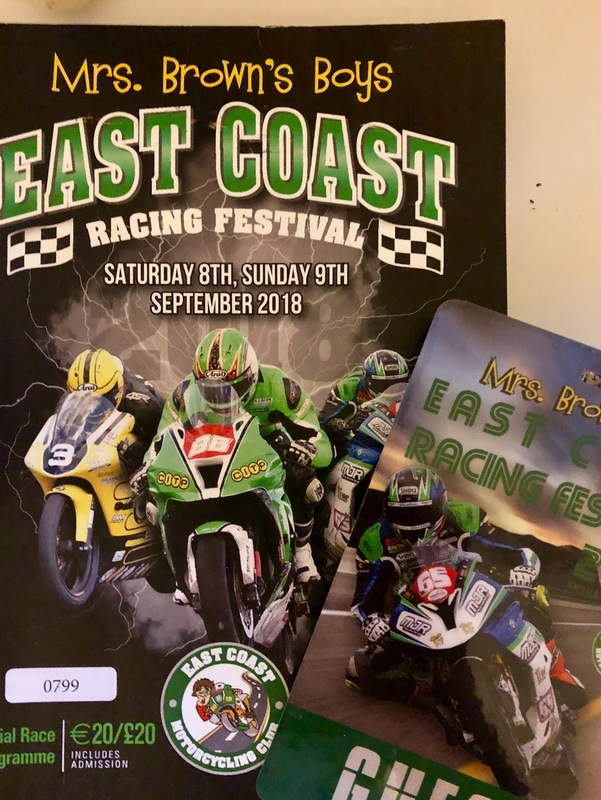 The races were broken up by a presentation to retiring Traveling Marshal Ray Taylor and a parade lap of ex-Martin Finnegan bikes. 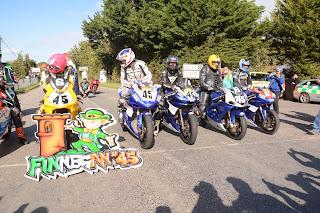 The day began with a Supersport race that would decide the championship. 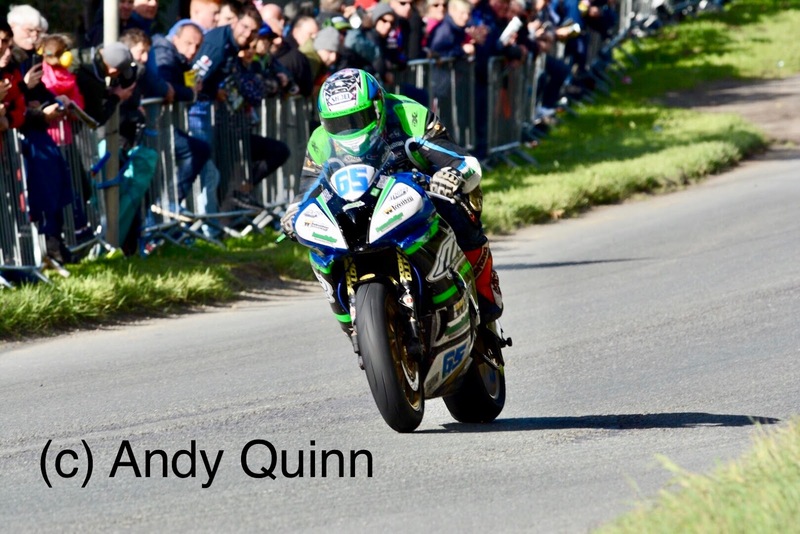 After a tussle with Sweeney and Sheils, Derek McGee won bringing the 2018 Irish Supersport title with it. The Open Race was a 2 way battle between Derek Sheils and Micko Sweeney that Sheils narrowly won in the end to grab hi s first Superbike win of the day. Paul Jordan was 3rd. Senior Support was up next and over the 7 laps Liam Chawke led table leader Wayne Sheehan. 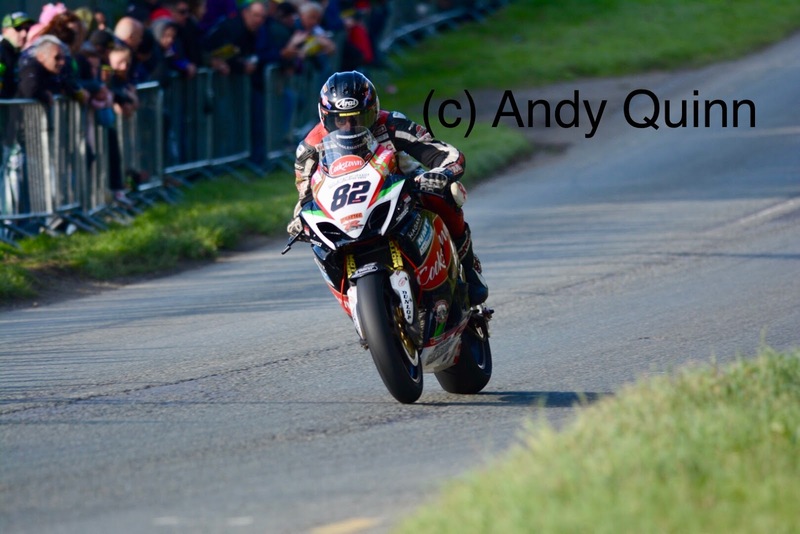 Chawke went on to win but, it wasn’t enough to deny Sheehan the Championship. Chawke did however finish 2nd in the competition ahead of Michael Browne. 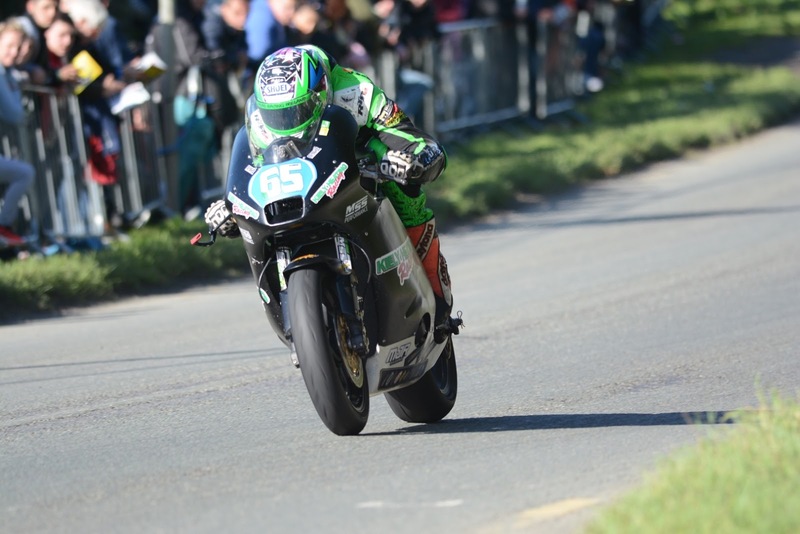 In the Lightweight Supersport race, Darryl Tweed was beaten to the line by Davy Morgan but, it was still enough to secure the Irish Lightweight Supersport honours for 2018. The 125\Moto3 championship went down to the wire with Paul Robinson hoping to retire on a high. 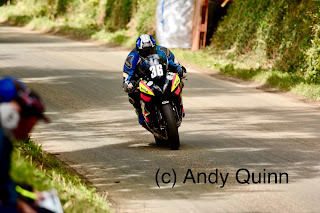 Although dicing with Gary Dunlop, he eventually got by the Ballymoney man to take the lead. Melissa Kennedy was challenging Championship leader Derek McGee and overtook him on the last lap. This decided the championship as Robinson emerged the 2018 Moto3 champion. In Junior Support it was between Barry Sheehan and Liam Chawke to figure out how would claim the top spot. Chawke led for the vast majority of the race but, an uncharacteristic mistake at schoolhouse corner meant the challenge was over. 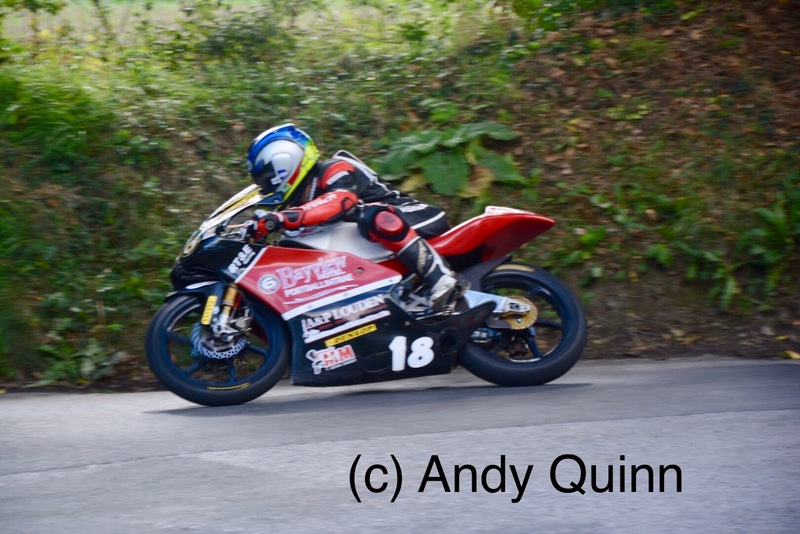 Irish Junior Support Champion 2018 is Barry Sheehan. For the second Supersport race, Micko Sweeney pulled the pin and built up a tremendous lead. Paul Jordan was 2nd and local man Andy Farrell 3rd. 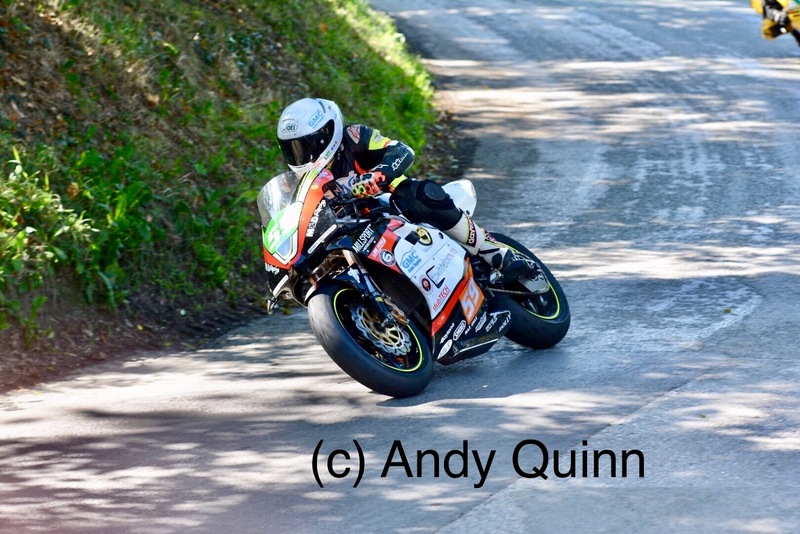 Next up was the Supertwin race and not content with one win, Sweeney bolted again and did the double. Davy Todd on the Burrows Engineering Er-6 Kawasaki was 2nd. This was also enough to earn Micko Sweeney the Man of the Meeting. 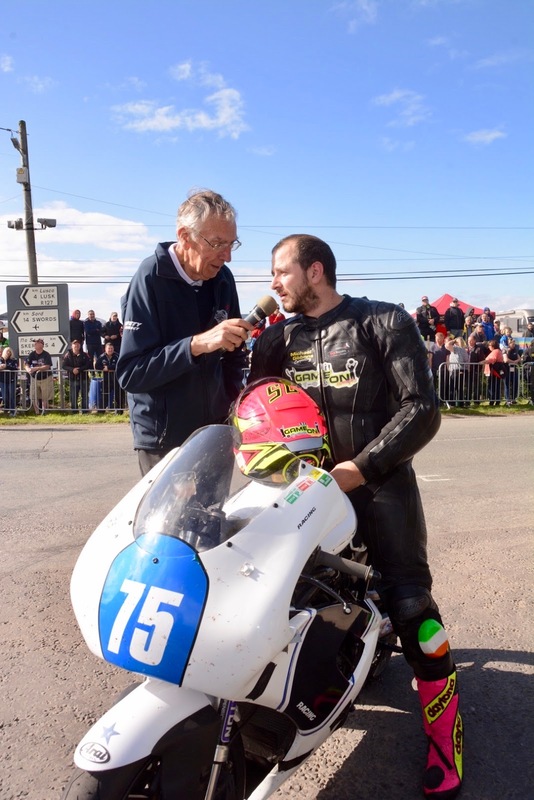 The Grand Final’s front row consisted of Pole sitter Derek Sheils, Micko Sweeney and Thomas Maxwell. Sheils got off the line best and made it stick. Sweeney did his best to stay with him but, Sheils was in a different league. Sweeney would make it home in 2nd and Maxwell also took to the podium in 3rd. 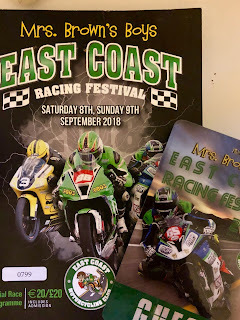 Overall, the second running of the East Coast Racing Festival was a tremendous success and well supported by an appreciative crowd of spectators. 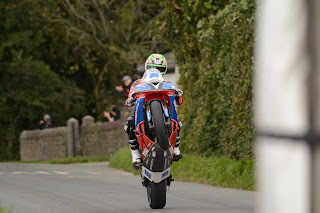 The racing was relatively incident free and medical intervention was less than minimal.